I love that esports are becoming more and more a part of sports clubs and the educational system. Why? Because my heart beats passionately for “little Michael” or “little Sarah” (all children growing up) who love to play games on their computer, phone or tablet. I, especially, feel for those who have not been given the proper respect, or recognition for their personal growth and/or gaming talent. Fun fact: Defense Command Denmark is testing esports gamers to see how well they can perform in the air traffic controller education: an education only obtainable for 5% of the population, because it is so difficult. “When we test applicants for education, we focus on spatial intelligence, strategic sense, fast responsiveness and the ability to keep a calm overview even under extreme pressure – and it is, among other things, essential for playing demanding computer games,” says psychologist Jimmi Andreasen, who works in the selection department of the Ministry of Defense’s Personnel Board (FPS). I am rooting for all the people, organizations and businesses working towards spreading esports in a way that builds confidence, a feeling of self-worth, a sense of meaning in life and friendships among our society. The Danish esports scene is thriving and growing as I write this and I am grateful to play a part in it. 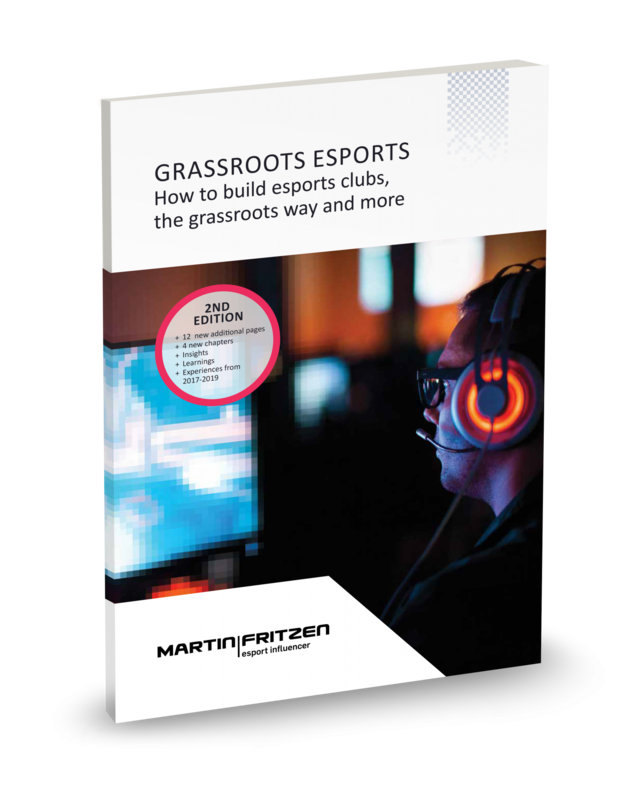 Esports in schools and sports clubs will build a great talent pool and form a solid organizational structure around esports in Denmark; while commercial esports will secure top performers from professional teams and players.